PRIOR PERMISSION REQUIRED FROM CRAFS. RC GLIDER FLYING ONLY. ALES GLIDERS ACCEPTABLE. Located up Forbidden Plateau Road. All MAAC safety rules to be adhered to. MAAC safety distances are not marked but must be strictly observed. Parking of vehicles to be 100 m away from the pit area. 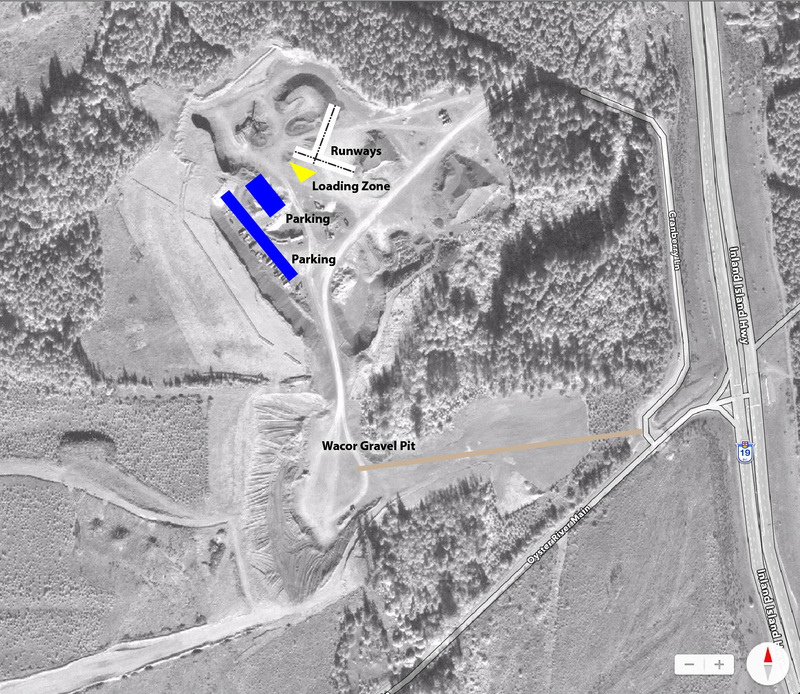 Flying stations to be 15m from the pit area. All flying must be South of the runway. Spotters are mandatory to monitor for full scale aircraft activity. If a full scale is spotted then an immediate landing is to be made with the model. GIVE WAY TO ALL FULL SCALE AIRCRAFT.